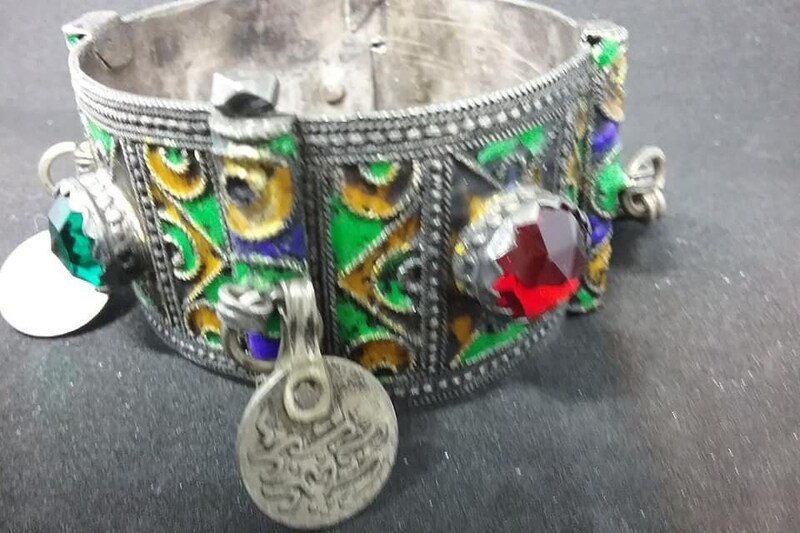 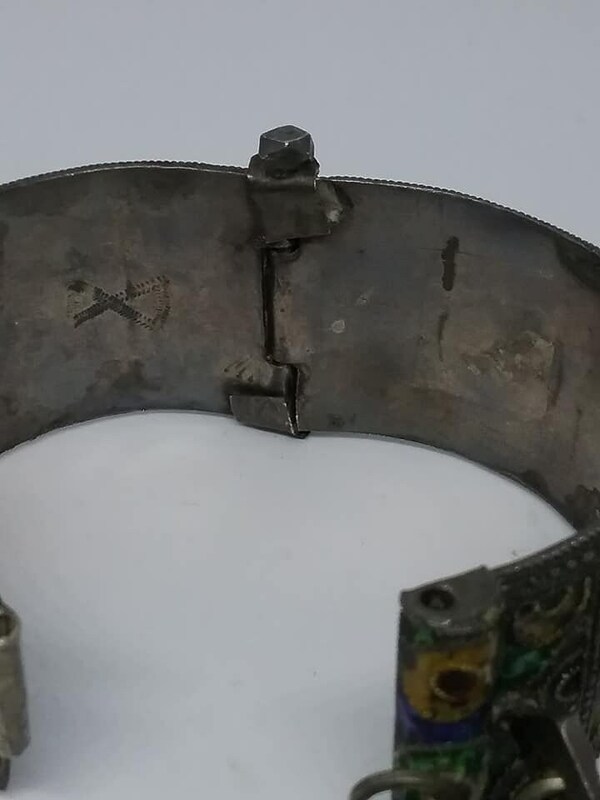 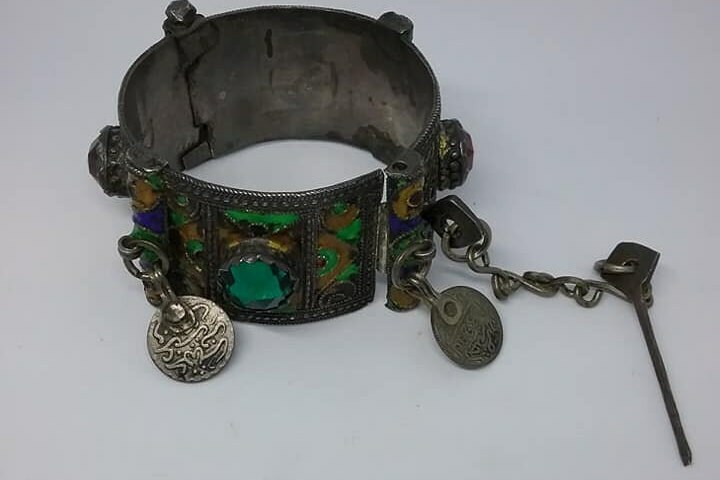 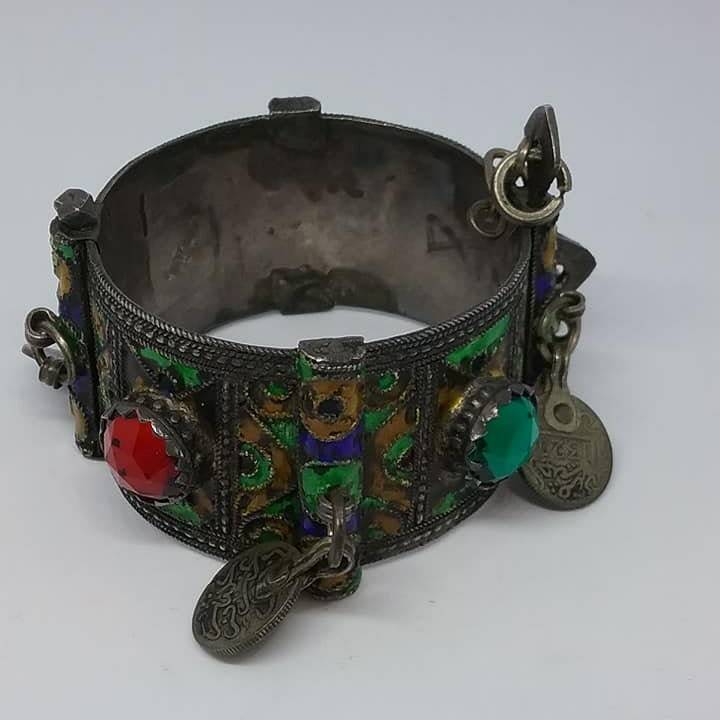 Antique colorful enamel and silver Maghreb Kabyle Berber jeweled cuff bracelet from the early 20th century. 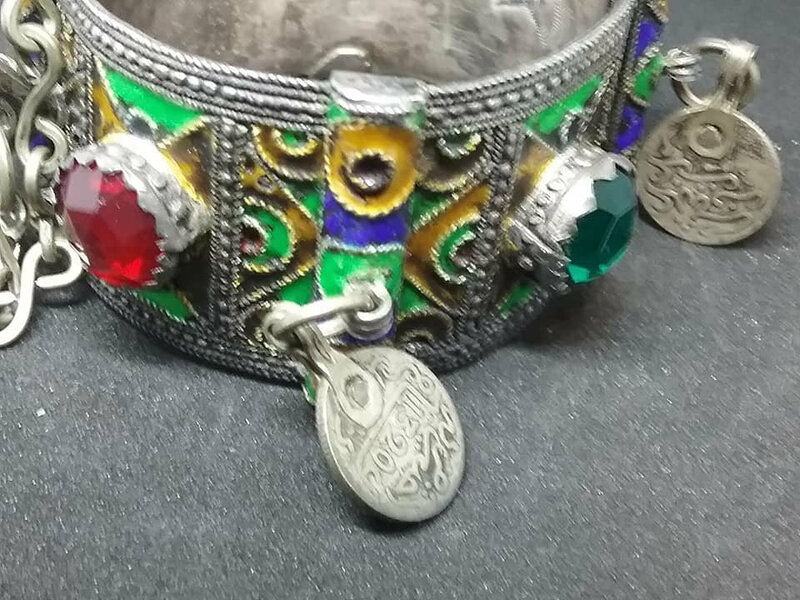 The Kabyle people are a Berber ethnic group native to Kabylia in the north of Algeria. 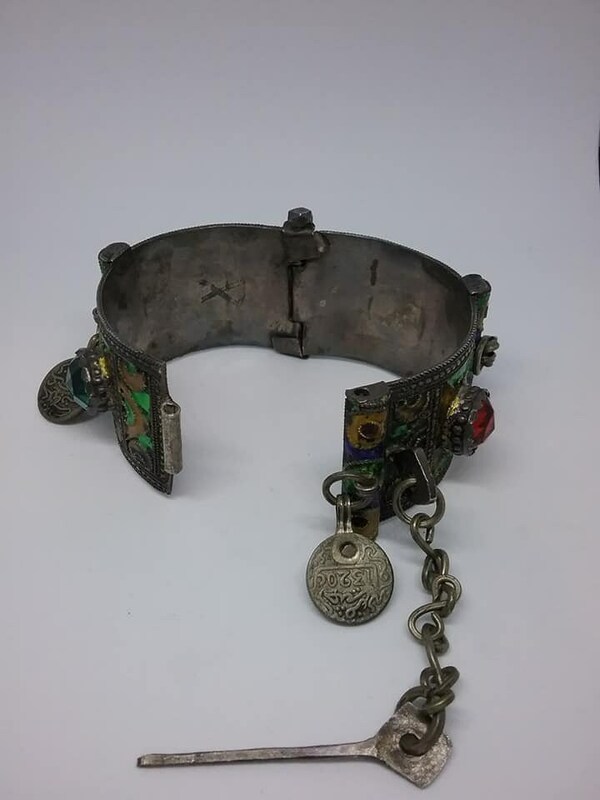 Weight is 87.25 grams, and a closed inner circumference of 7". 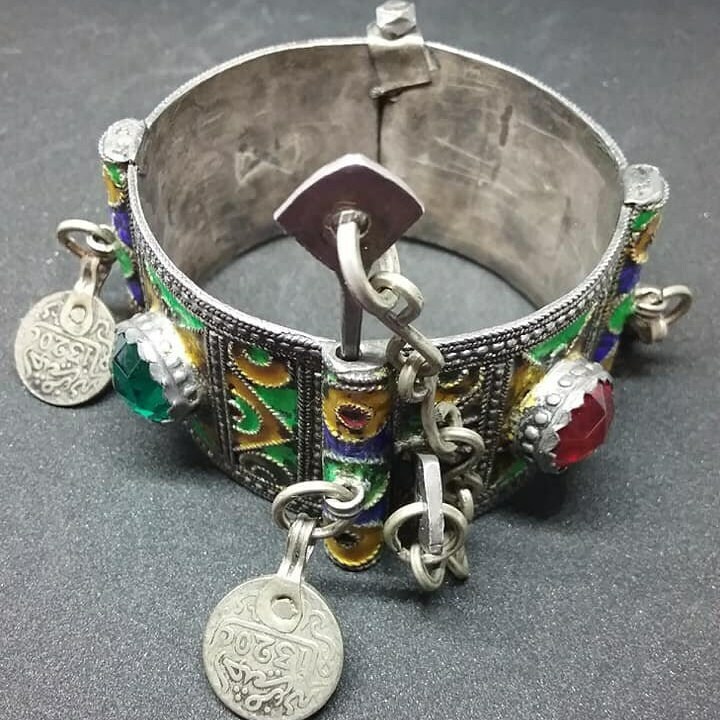 Acid tested for true silver. 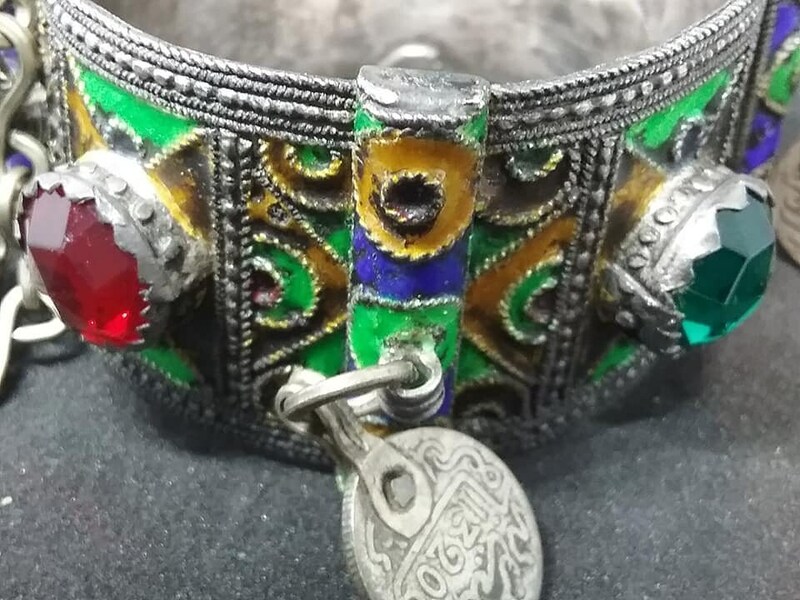 Inner Assay markings and red and green paste beads surrounded by beautiful enamel painted design. 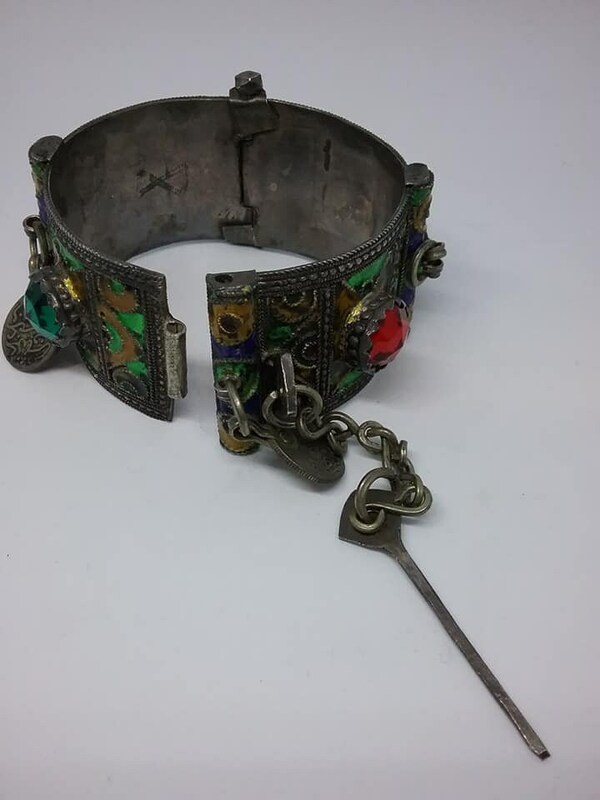 Fitted with hinge and pin & column style clasp, both function properly and securely. 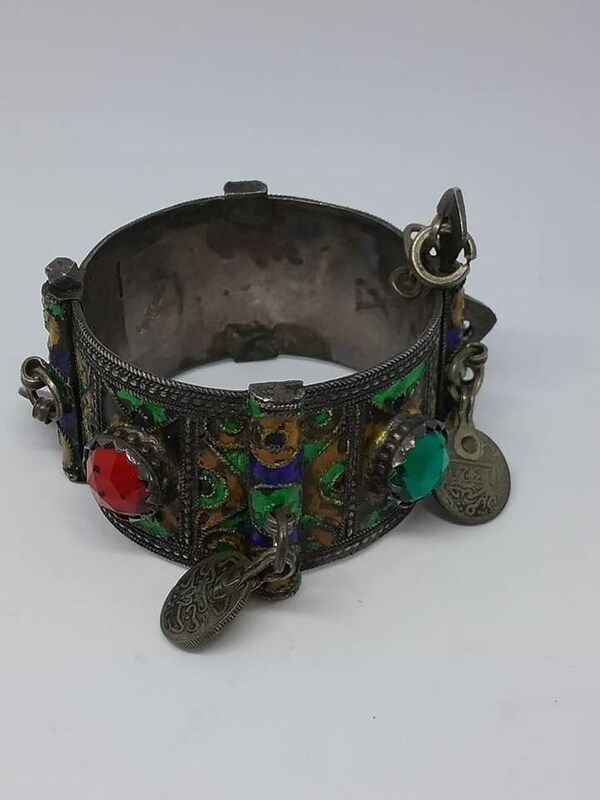 Beautifully ornate, it is truly a work of art.